Paper Crafts by Candace: SVG Challenge! Hi Everyone! It's challenge day over at SVG Cutting Files! This months challenge is to create a boy themed project. My brothers birthday is next weekend so this was perfect timing! 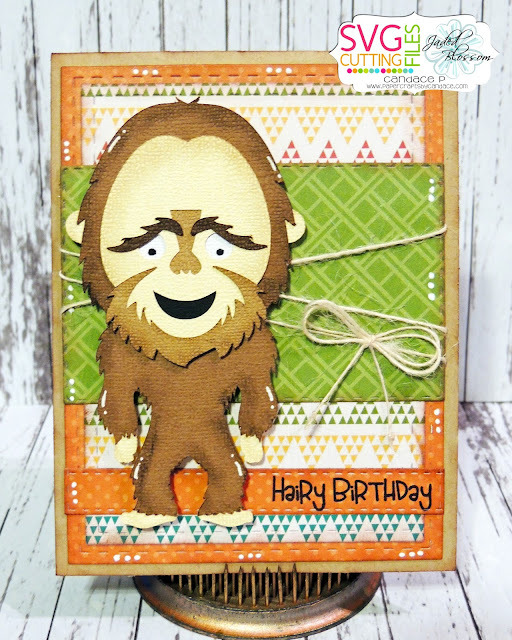 For my card I used the Chibi Big Foot file. From Jaded Blossom I used Card Mat Dies, Goody Bag Die, the new Border Dies and Love Mustaches stamp set.